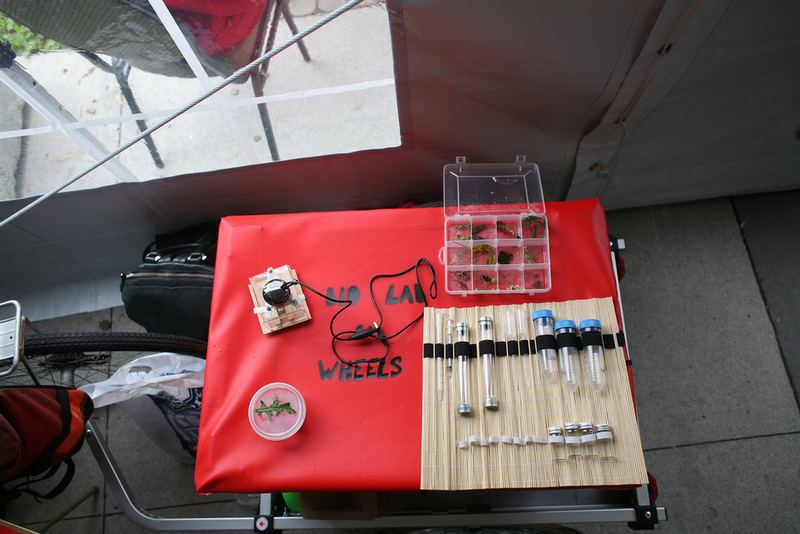 Bio Lab on Wheels is a mobile biology laboratory built on a bike trailer. Using home-made equipment, such as DIY microscopes, hand-operated centrifuges and computer fan magnetic stirrers, this lab conducts basic science experiments to audiences while on route. The projects based around Bio Lab on Wheels uses samples of water, plant life and microorganisms from local resources such as parks and waterways as materials and subject matter for experiments. Rather than inviting people to a specific location to watch our experiments take place, we bring our experiments to the people. At the crux of our initiative, we intend to empower and engage citizens through amusing Do-It-Yourself Biology. 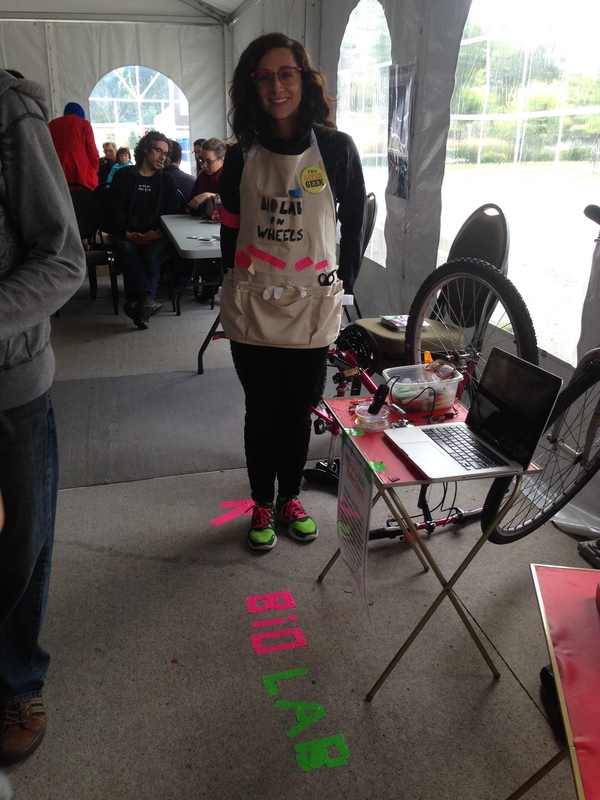 Bio Lab on Wheels had its official launch at the Makers Faire Toronto, on September 22 at Wychwood Barns. Using DIY microscopes and samples collected in various parks across the city, we presented the wonders of patterns found in nature, and the microscopic world that hides in plants and water. Additionally, we showed how to turn a bike wheel into a centrifuge by mixing and matching different liquids and colorful substances. 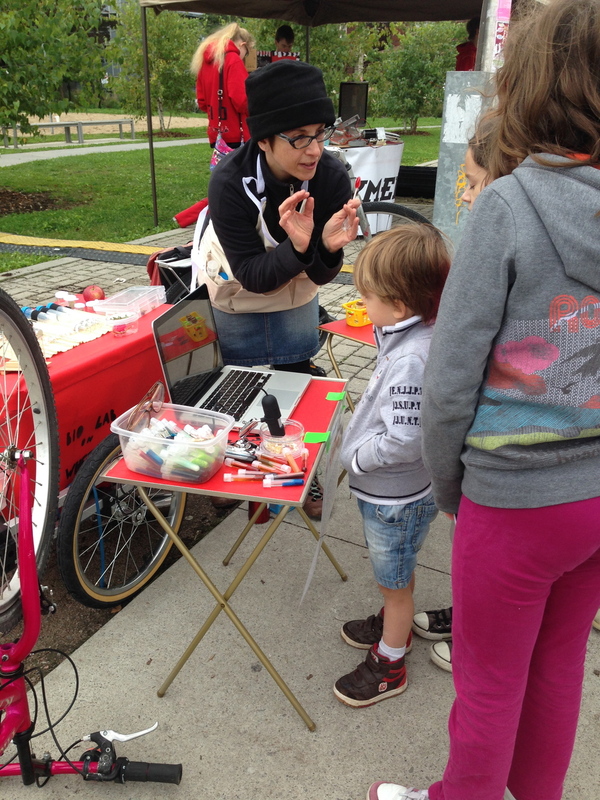 For the second iteration of Bio Lab on Wheels, we participated in the Eco Nuit Parade, at the Scotiabank Nuit Blanche, on October 5. For Toronto's all night event, we proposed a series of performance experiments that connect the objectives of Bio Lab on Wheels and the overarching theme of light and spectacle. We depicted how natural elements such with citric acid, such as lemons, can be easily combined with LEDs, zinc and copper, to produce fluorescent, glowing features.